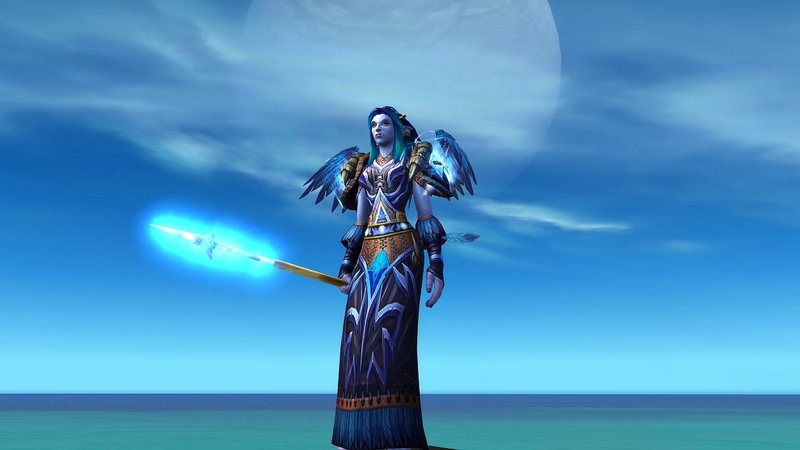 Best dressed: We want to see your best transmogs, and hear the story behind them. 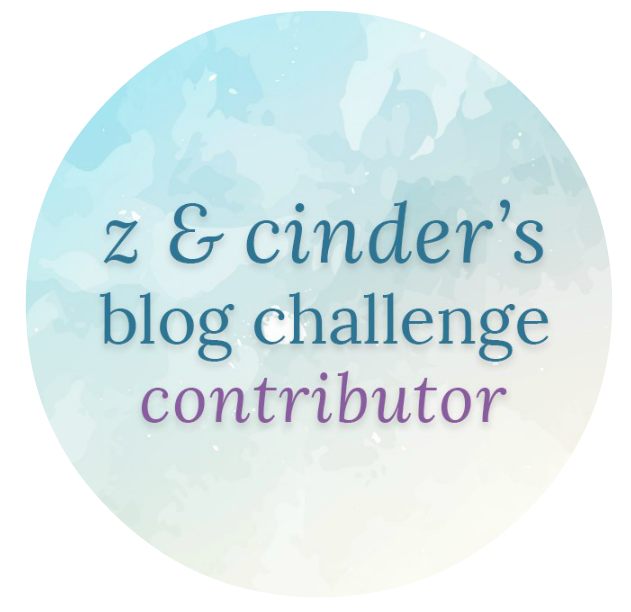 How did you come up with them? How long did it take you to farm the pieces? And just how often do you change your outfits? Let us know! 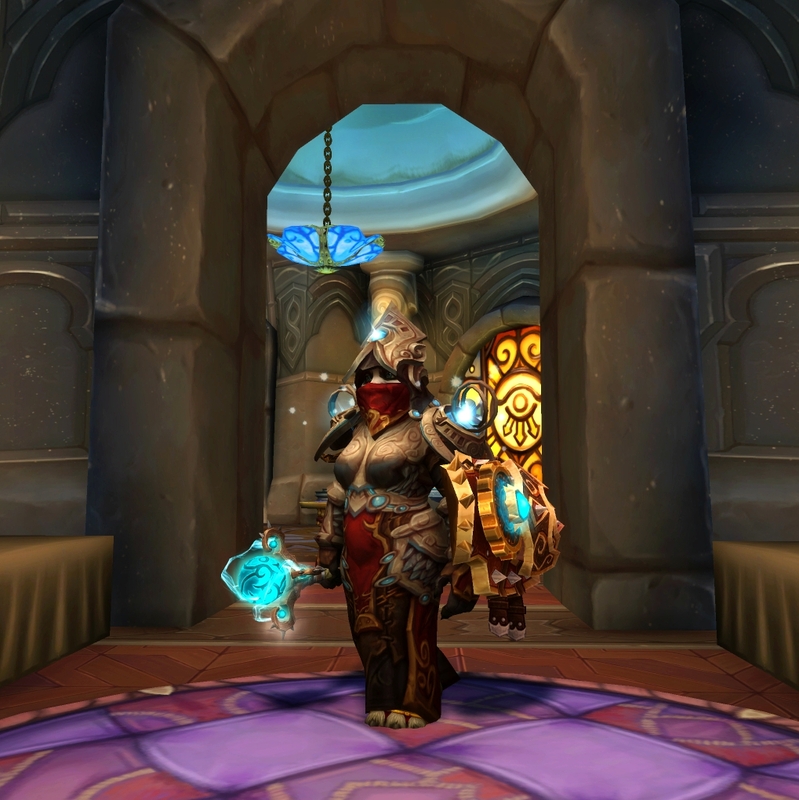 I love to create transmogs for my characters but I hate to farm transmog gear because it might take weeks or even months for the item you want to drop and I don’t have the patience to run a dungeon or raid again and again every day or week. Sometimes when I create an outfit it’s because I find an item I just HAVE TO use and then I have to create a whole set for it. But usually I just use full sets that I like. I don’t change my transmog very often because I find something I love and then I stick with it for a while. 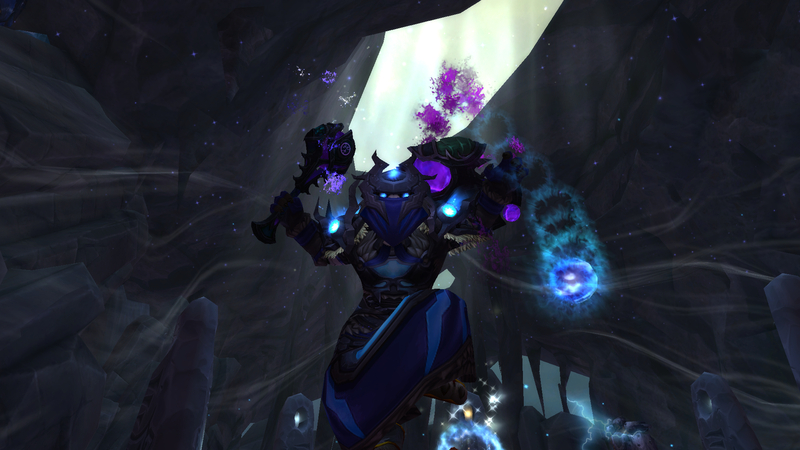 I leveled my mage to 110 in April but didn’t have any nice transmogs to use, so I bought the Wrathful armor and I was lucky enough to get the hidden artifact appearance. 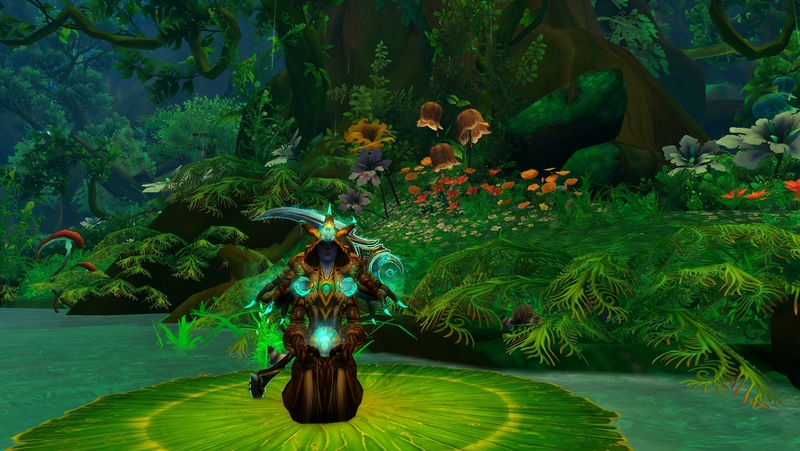 The Cycle armor is from Mists of Pandaria challenge mode and it’s one of my favorite druid sets in the game. 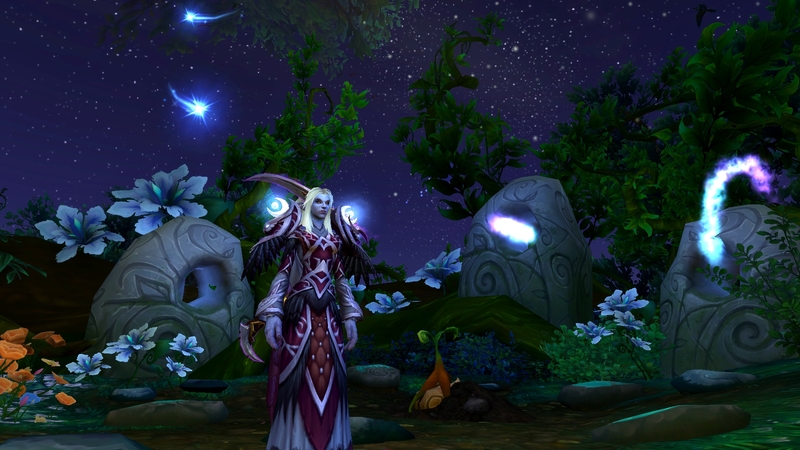 Vestments of the Celestial Harmony is the tier 16 set from Siege of Orgrimmar. 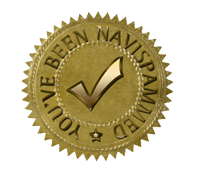 Here without the belt because I thought it looked better like this. 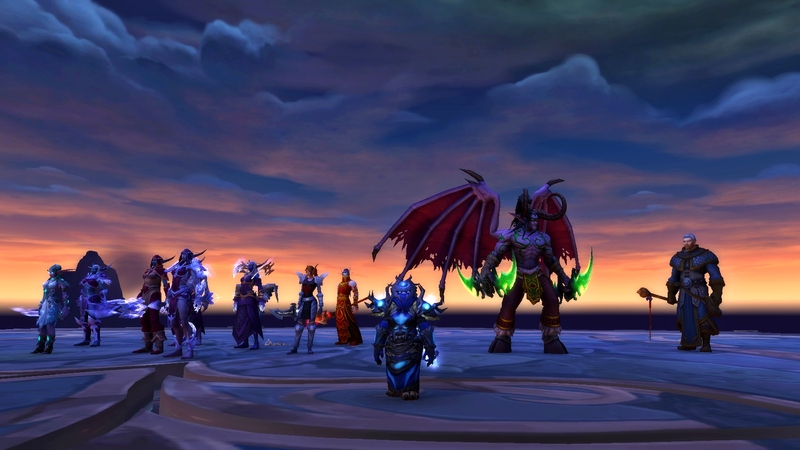 The weapon is from Throne of Thunder and shield from Dragon Soul. I’ve had these items for years but didn’t make an outfit of them until very recently. 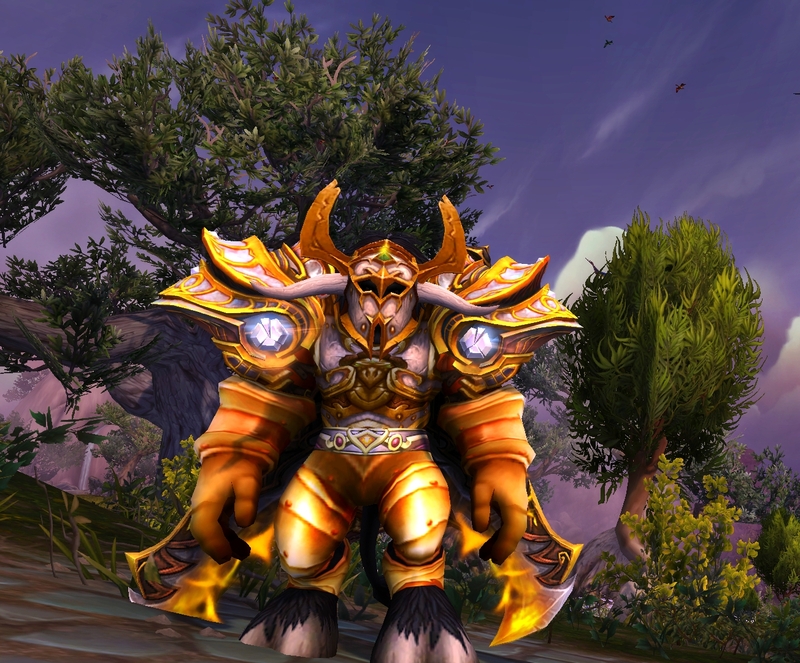 This transmog was inspired by the Cyprus set I made for Mog the World. I wanted to create a similar golden set with items I already had and this is what I came up with. Which transmog is your favorite? I have been leveling my shaman for a while now, a few levels every now and then when I had time. The plan was to level through dungeons as restoration so I picked Sharas’dal, Scepter of Tides as my first artifact weapon. But I wanted to be able to solo quests as well so I picked the elemental weapon, The Fist of Ra-den, as my second artifact weapon because I used to have elemental as my off spec in previous expansions. I never really liked elemental, it was just a spec I had to have to be able to solo. Things haven’t changed, I still don’t like it.. 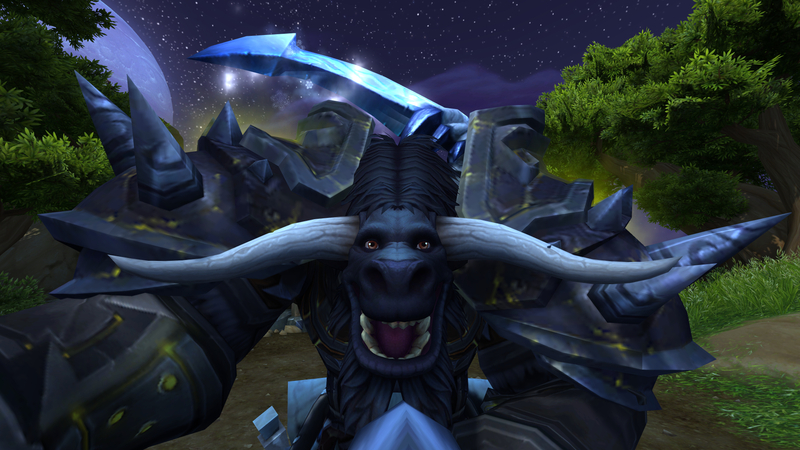 So I went and got my third artifact weapon, the Doomhammer, and enhancement turned out to be incredible fun! I’ve never really played enhancement before because my main spec was restoration and all my gear had intellect on it, so it was simpler to have elemental as off spec. But it’s so much easier now when the gear got both intellect and agility! 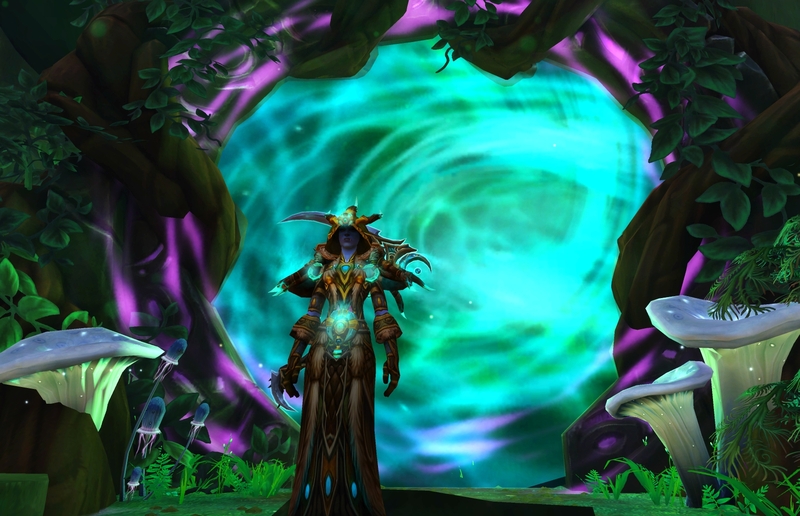 My BF leveled with me, first on his priest and then restoration druid. We did both quests and dungeons. I played enhancement more than I played restoration because he wanted to heal in dungeons. Now on 110 my plan is to have restoration as my main spec, but I might try out enhancement in PvP because it looks like a lot of fun. 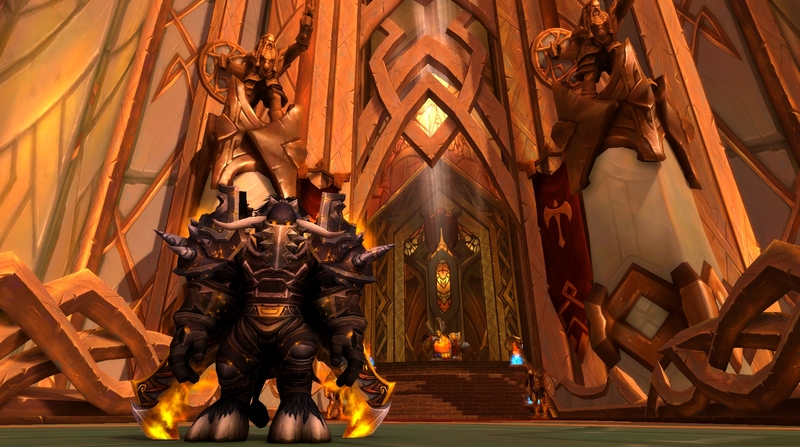 A funny story… I hit 110 and thought I might try to do some world quest for gear upgrades, because my gear was terrible and I wanted to increase my item level to be able to queue heroic dungeons and looking for raid. So I did some quests that rewarded gear and noticed I had completed 3/4 Warden quests and went to complete the fourth one. Then I went to Warden’s Redoubt to complete the quest for doing four world quest and get the box and artifact power. So, I just completed my first four world quests and got my first box. Can you guess what was in it? LEGENDARY!!! My first legendary in Legion, on my shaman, my alt, that had been level 110 for only a couple of hours… My druid still doesn’t have a legendary which I think is a bit strange because I have done so many world quests and quite a few dungeons. It seems like almost everyone else, at least in my guild, have gotten their legendary, many even got two.. Well, some of them have played much more than me and they raid every week which I don’t. But still, I hope it will be my druid’s turn to get a legendary soon. How many characters have you leveled to 110? Do you have a legendary? 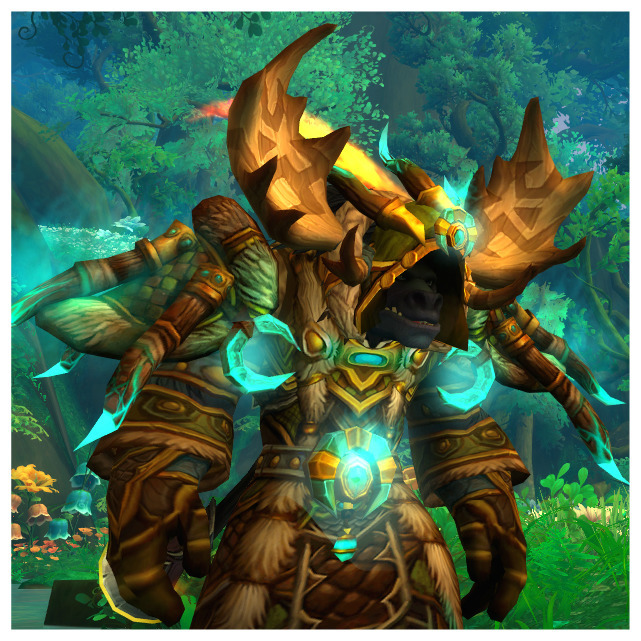 I got my Wild Gladiator’s season 2 weapons on both my druid and my shaman this week. Been doing Ashran on them both every week and some rated battlegrounds on my druid. The druid is my favorite character to PvP with, but shaman can be fun as well. I’m just not very good at healing in PvP on my shaman yet, maybe that’s the reason I prefer the druid. They both got new transmogs now as they got new weapons. 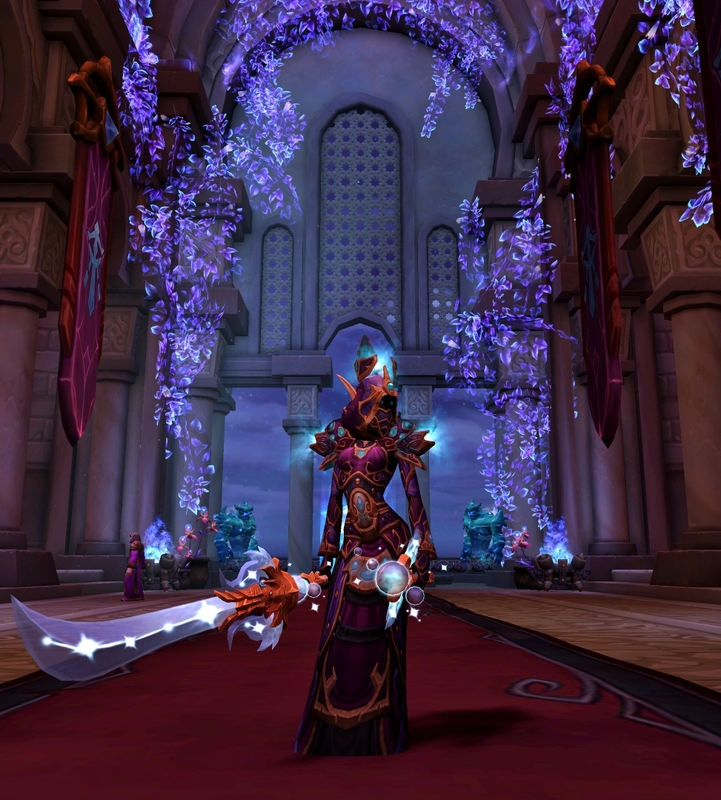 I think the weapons looked good without transmogs but I didn’t have any set that matched so it didn’t work out. 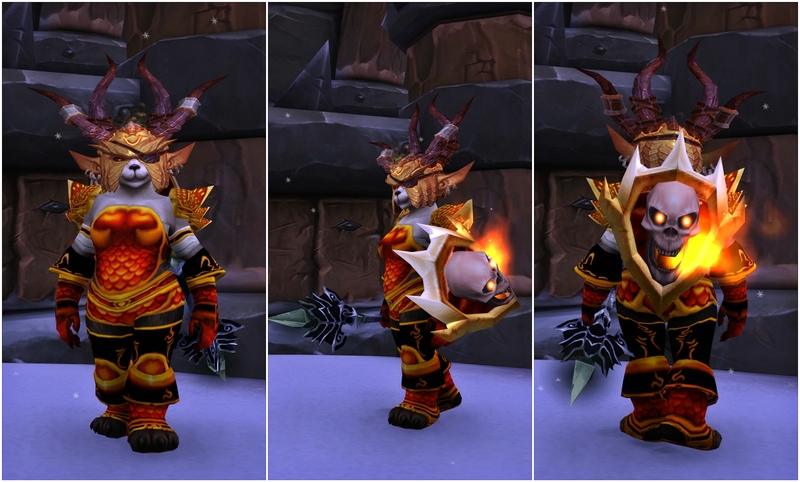 My warrior has gotten some new gear too, but not the season 2 weapon yet. I’ve done Ashran to get him full Wild Combatant’s gear, Blackrock Foundry for some PvE gear and upgraded his Steelforged Greataxe to 705. I started playing my warrior again in January and got him to Draenor. But he was stuck in his garrison for a while until I decided to continue to level him earlier this month. I’ve worked a lot this month so I haven’t had much time to play, so he just hit level 100 last week. I leveled together with my boyfriend who leveled his warlock. My warrior is only the third character I level through Draenor but I’m already bored with the dungeons and quests. Luckily it doesn’t take that long to get to level 100. 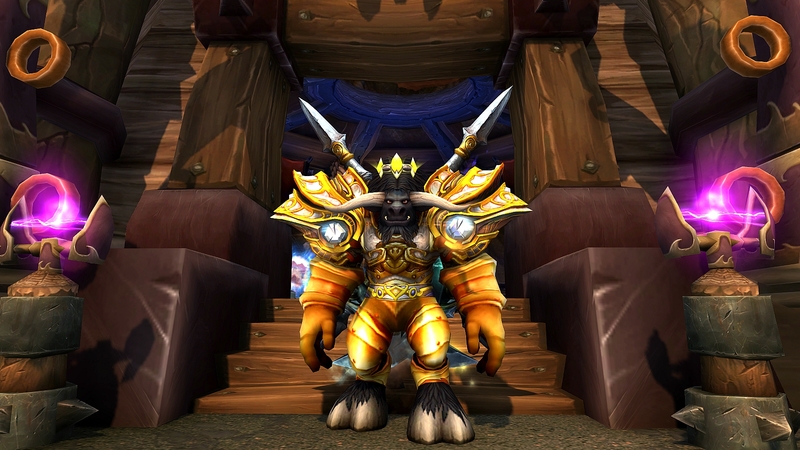 He has already got a full set of PvP gear from Ashran and Honor points and I’m planning to PvP a lot more. I’m not very good at playing warrior yet, especially not as arms in PvP cause I haven’t PvP as warrior for years. But it has been fun so far. 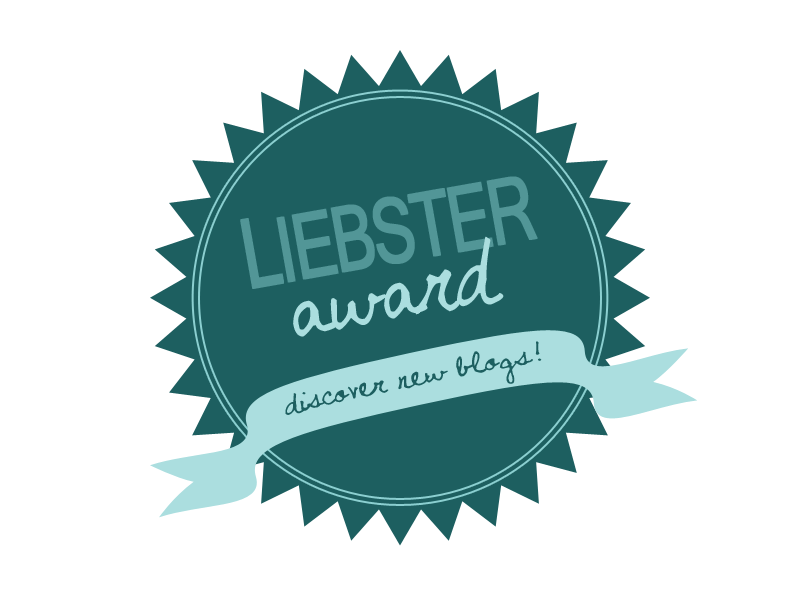 Do you have a warrior? 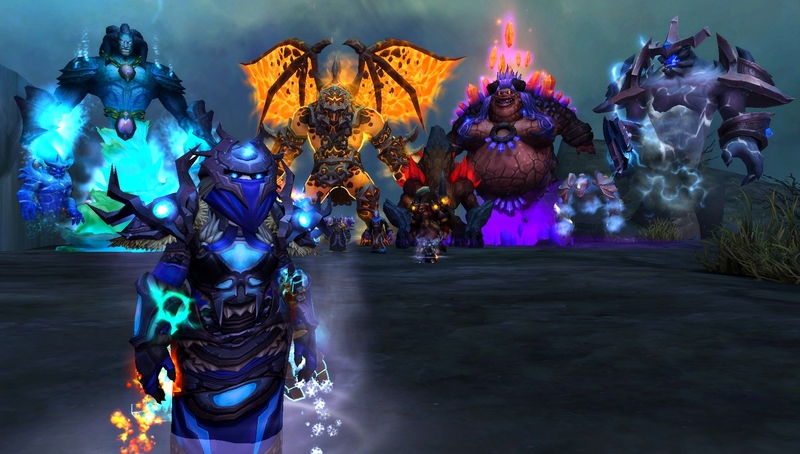 What spec do you play and do you PvP or PvE? Any tips for me?